Located just outside of Washington, MO and about a 45 min drive west of St. Louis. Riverwoods was a project begun more than 45 years ago and now owned by a physician since 1992. This is an incredible estate highlighted by the 2 BR, 2 full bath, 2 half bath 3500+/- SQ FT of living space all on 7.9 acres of ground overlooking the Missouri River. 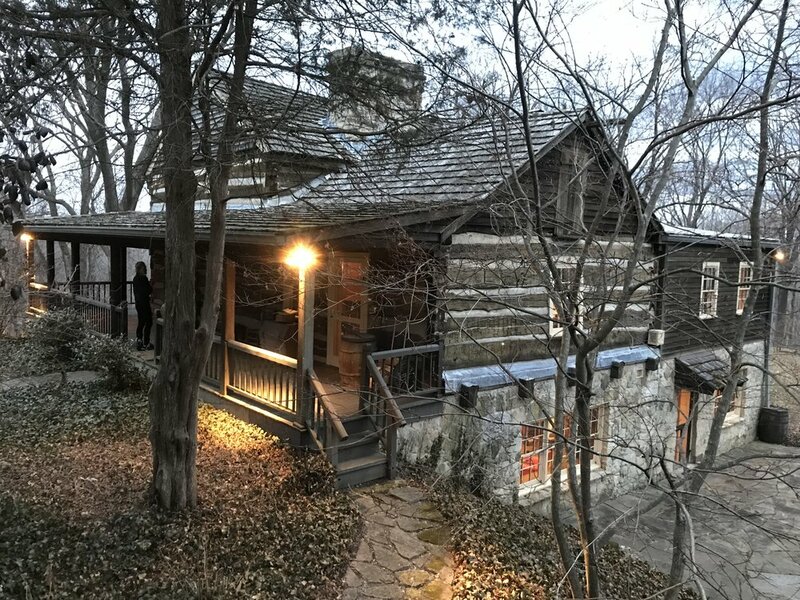 The house is a 1930 totally renovated hand-hewn log home. There has not been a detail left out and the two wrap around porches bring a new meaning to cocktail hour. The grounds have a beautiful patio, stone walkways and beautiful native perennial wildlife gardens. There is also a 2 car garage with private guest apartment. Also, in addition to the main log home there has been added two two additional log buildings one being converted to a chapel and the other a sacresty. These buildings could also be converted to other uses such as a bunk house or a meeting room or retreat. So many opportunities exist for the next owner. What a place and am I ever proud to represent this masterpiece for sale. Offered at $1,399,000. Yes this one would make any one very proud to own.